Send your taste buds travelling with fresh and healthy recipes from The Mediterranean Table. In the age of detoxes and elimination diets, it’s easy to forget that you can enjoy flavorful, satisfying food and live a more healthful life. Offering some of most nourishing and delicious cuisine in the world, The Mediterranean Table is your go-to source for transitioning to the natural, simple lifestyle of the Mediterranean diet. With more than 150 recipes, cooking tips, and a sample meal plan, The Mediterranean Table will take readers on a culinary journey through Southern Europe, Northern Africa, and the Middle East, all while sharing a time-tested tradition of healthy eating. Mediterranean diet recipes include: Breakfast Polenta with Pears and Hazelnuts, Classic Gazpacho, Shrimp and Chickpea Fritters, Moroccan Lamb Wrap with Harissa, Eggplants Stuffed with Walnuts and Feta, Lemon-Oregano Grilled Shrimp, Seared Duck Breast with Orange and Ouzo Sauce, Nut and Honey Baklava, and much more! 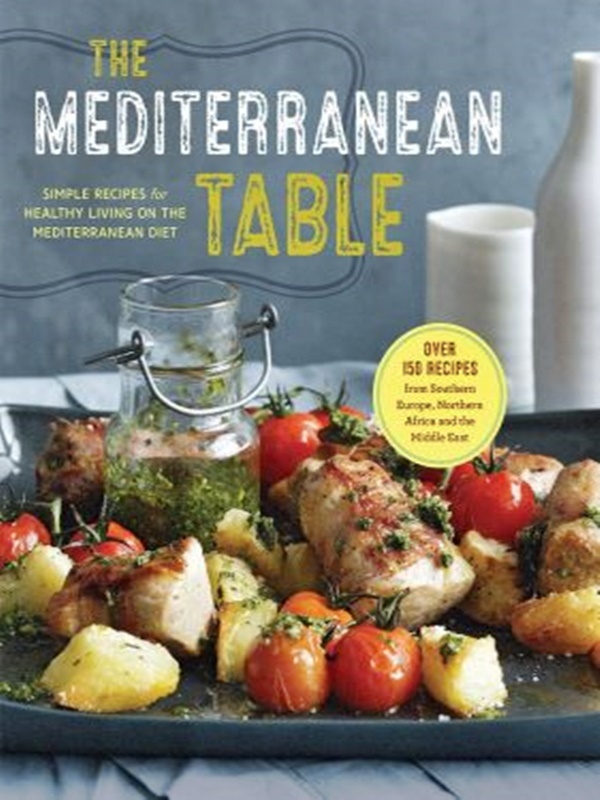 Savor satisfying and healthy meals with The Mediterranean Table cookbook.